We haven't had even a hint of winter yet in southcentral Pennsylvania. So we'll have to settle for vintage photographs of snow. 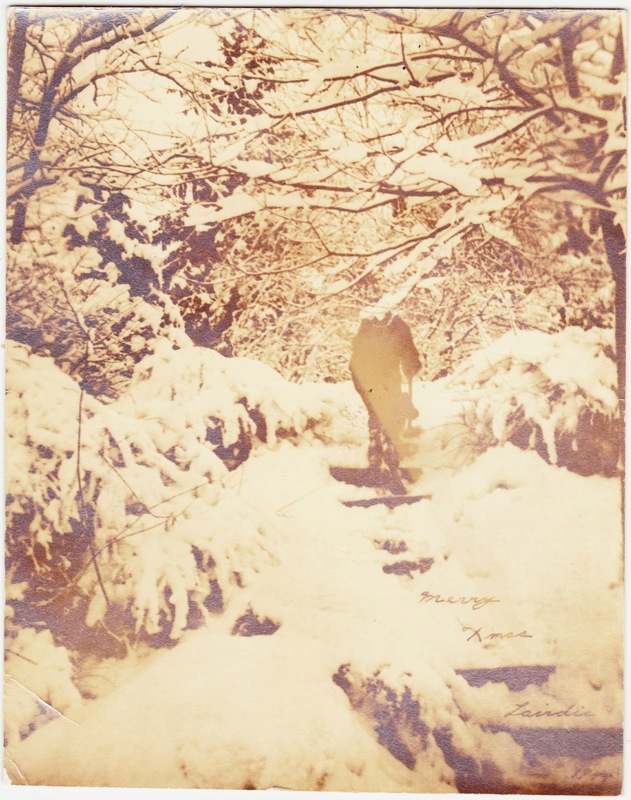 This sepia-toned shot measures four inches wide and features snow-covered outdoor steps, a figure who appears to be using a shovel and bushes and branches weighed down with wet snow. There's a date in the extreme lower right. But I cannot decipher it with any certainty. The second number is either an 8 or 9. The third number might be a 1 or 4 or 8. There's nothing written on the back of the photograph, so we have no further clues to go by. 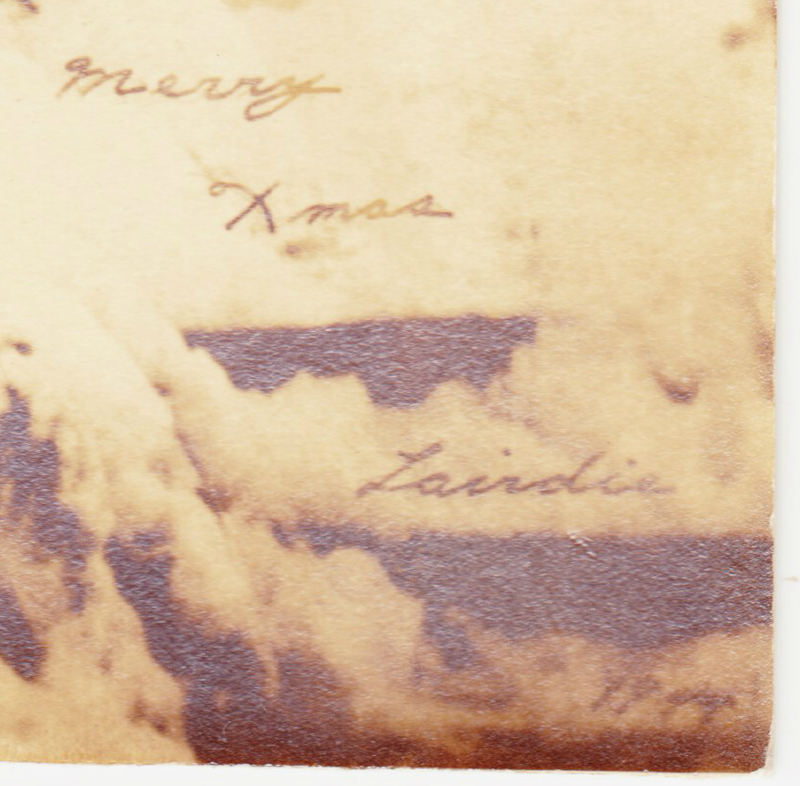 Is it possible the writing was scratched into the negative and prints made from that? This could have been sent to multiple people as a Christmas card. Maybe as a joke. The date looks like 1949 to me.